Our farm has truly been a family farm for over 100 years. It is located in the rolling hills of southeastern Minnesota, in the driftless zone. The farm was settled in 1880 by my great, great grandfather, Knut Wold. Knut's family included Henry, who went on to raise my grandfather Hildus and his four siblings. Hildus married Jane in 1940, and raised two sons, Wayne and Barry, and a daughter, Susan. Together as a family they farmed the land. ​In 1973 Wayne and his wife Janet returned to the farm and began growing strawberries as strictly a "pick-your-own" operation. 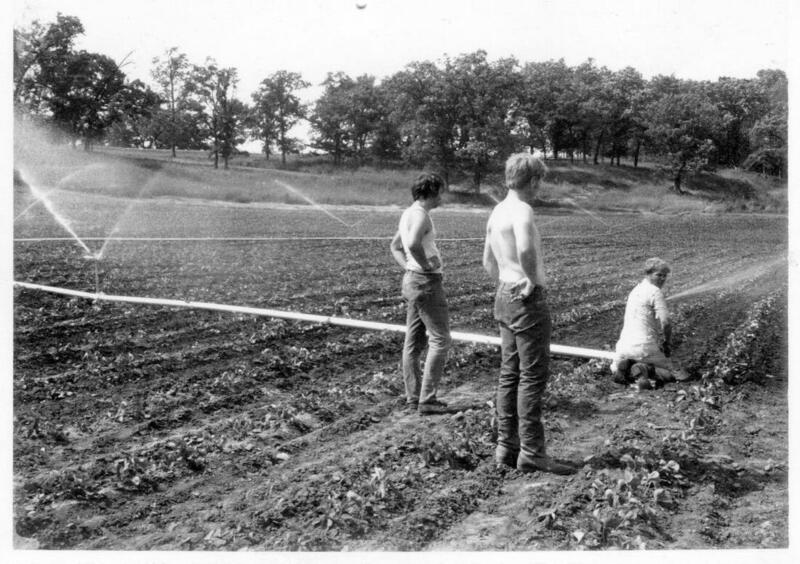 Over the years, the number of acres grew, and the interest in strawberries from local markets increased, prompting much of the production to switch to "pre-picked". Now the farm is seeing a marked increase in the pick your own crowd - both young and old. But no matter how many changes occur, the farm has always relied on the family as the major work force. In addition, we employ many of the local kids, and folks from the neighboring towns and Amish community. ​We hope you enjoyed our little bit of history, and invite you to visit us at the farm this summer.